Magnet Viewing Paper is used to see magnetic fields. This translucent material has small ferromagnetic particles suspended in the cells of the plastic film. The areas of high magnetic intensity appear dark, while the transition zones (areas where the poles are changing, also known as the neutral zone) appears light. 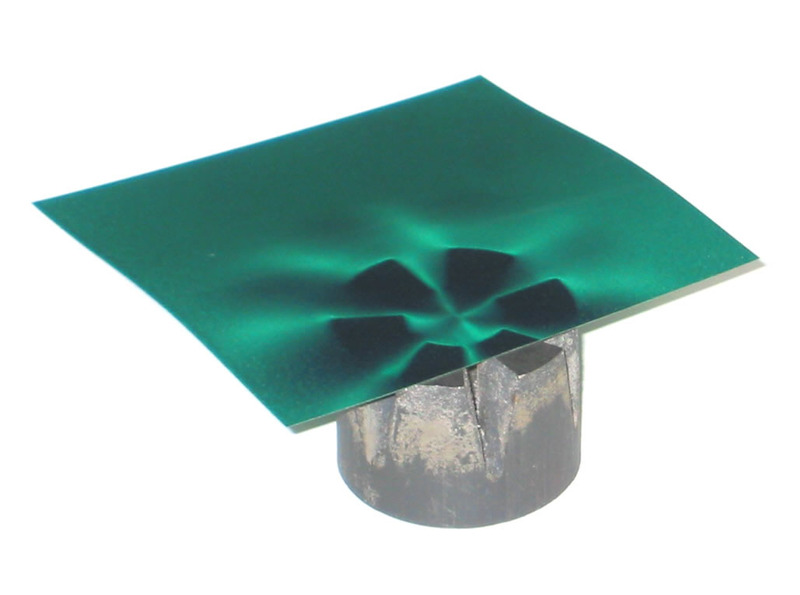 By moving the film over the poles of a magnet you can see the shape of the magnetic field like a magnetic CAT Scan. Recommended for ages 8 and older.